A popular Polish place with international appeal, Caissa Chess Shop certainly delivers! 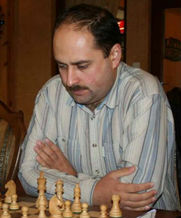 Jurij Zezulkin is a Belarus-born chess Grandmaster who has represented Poland in chess competitions since 2010. In his youth, he won many titles both within Belarus and internationally. He has a FIDE ranking of 2434, and in late 2017 he was ranked the 59th strongest player in the country of Poland. He has also appeared in some Czech chess leagues and achieved good results. Needless to say, this is someone who knows his way around a chess set. Jurij uses his extensive experience with and passion for chess to guide his business decisions. 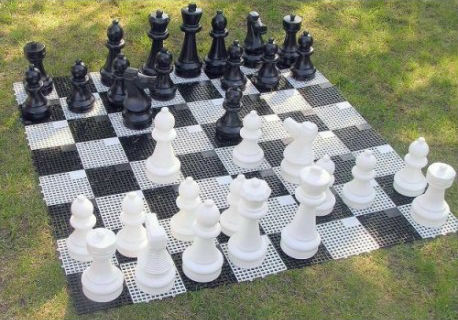 We’re sure he would never sell a chess set he wouldn’t like to play on himself! The Caissa Chess Shop was first founded in 2001, about 20 years ago now! In that time, business has boomed, and the shop has grown to become one of the largest companies in Poland. 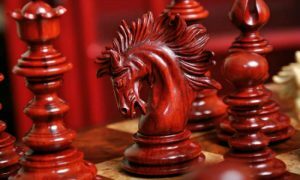 After its first 3 years in business, Caissa Chess Shop started to sponsor and organize one of the largest chess festivals in Poland, called the Seahorse of Rewal. 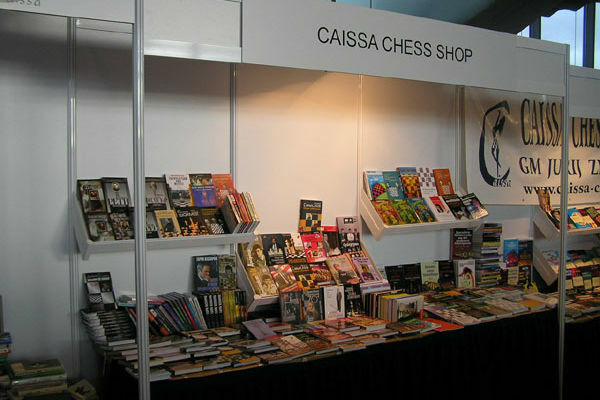 The first of these chess festivals that Caissa Chess Shop was involved in planning took place in 2004. Ever since, it has been a regular occurrence! 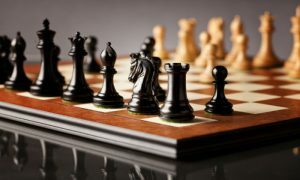 Caissa Chess Shop is known as one of the biggest and best online chess shops in central Europe. Its vast product selection, good prices, and incredible deals are what attract a lot of customers in many different countries. We weren’t kidding when we said that Caissa Chess Shop maintains a huge catalog of available products. 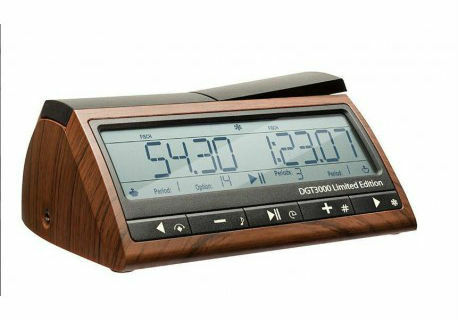 It stocks over 2,000 different items on last count, including many that it manufactures specially under its own brand and can’t be found anywhere else. 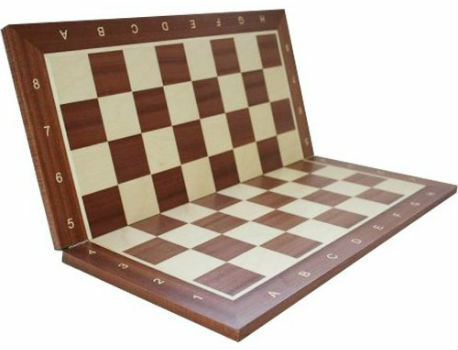 Any chess product you can imagine is probably available for sale at Caissa Chess Shop. If it exists, they have it pretty much. 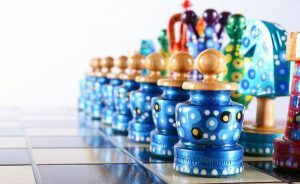 Beautiful chess sets of all styles and materials, chess clocks, chess books, chess computers, chess software, chess-themed gifts, clothing, and home decor, and even oversized wooden chess pieces to hold your pens or serve as trophies in a chess tournament. You name it, they sell it! 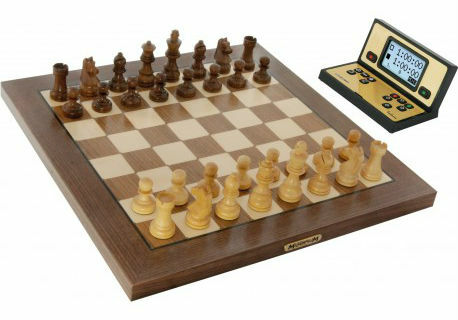 Some of their best selling products include their wooden key rings, Chess Senator, and the foldable Chess Board No. 5. The one thing you won’t be able to find for sale at Caissa Chess Shop is low-quality products. Even though the company sells so many different items, they are careful not to include anything that doesn’t meet their strict quality standards. Because of this, you can rest assured that whenever you find a good deal in the Caissa Chess Shop (which is often, actually) it’s really a good deal on a quality item and not just an overpriced piece of junk. 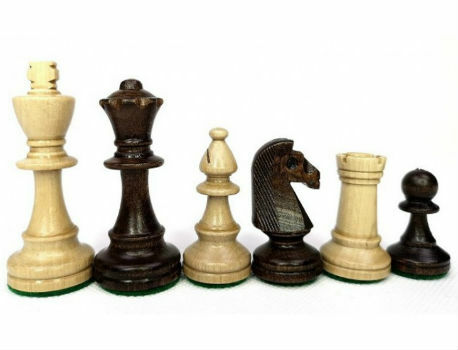 There’s nothing more disappointing than buying a brand new chess set online at a great price only to be disappointed when it arrives. 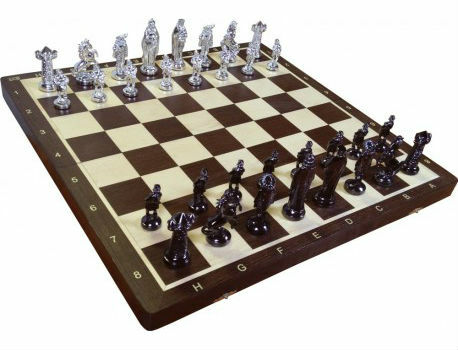 Caissa Chess Shop products may be cheap in price, but they are never cheap in quality, which is good news for buyers! 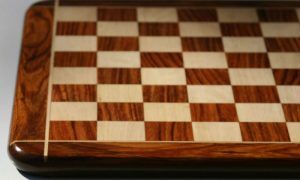 As mentioned before, you can find a lot of great deals at Caissa Chess Shop. And because they’re good deals on great products, that provides a lot of real value and bang for your buck. Your money will go a lot further at Caissa Chess Shops than it might at some of the more prestigious and overpriced “big names” out there. And in the end, you’ll be a lot more satisfied with your purchase. Caissa Chess Shop is a great place to buy if you want to get high-quality products on a limited budget. This is especially true if you’re located in Europe, since a lot of other chess shops are based elsewhere and can charge exorbitant shipping fees. It doesn’t matter how great a deal you find if you have to pay a ton to have it delivered to your door! Caissa avoids that problem by charging reasonable shipping rates from their centrally located warehouse. The everyday prices at Caissa Chess Shop are so good that you almost don’t need any deals. But still, it’s always good when you find them anyway, right? 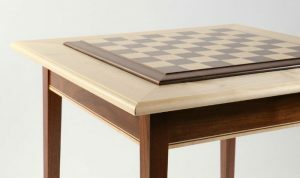 There is actually a whole page on the Caissa Chess Shop website dedicated to sale products that are being offered at a discounted price. You can get to it by scrolling down to the bottom of any page and clicking on the “Specials” link. On that page, you’ll see everything that’s currently being offered at a discount. Of course, the items on offer change regularly as stock moves in and out, so be sure to check back often to see what deals are available. You never know when that product you’ve had your eye on is going to go on sale! Caissa Chess Shop customer service is very friendly, professional, and sensitive to the needs of each customer. You can get in contact with them anytime by going to the “Contact Us” page linked at the top and bottom of each page on the website. There, you can send them a message by using the cute, letter-themed form on the page. You can even attach pictures or files if you need to in order to explain your situation. Once your request has been submitted, just sit back and relax. Someone will get back to you as soon as they are able. Remember that Caissa Chess Shop is based in Poland, and if you’re located elsewhere there may be delays caused by time zone differences. 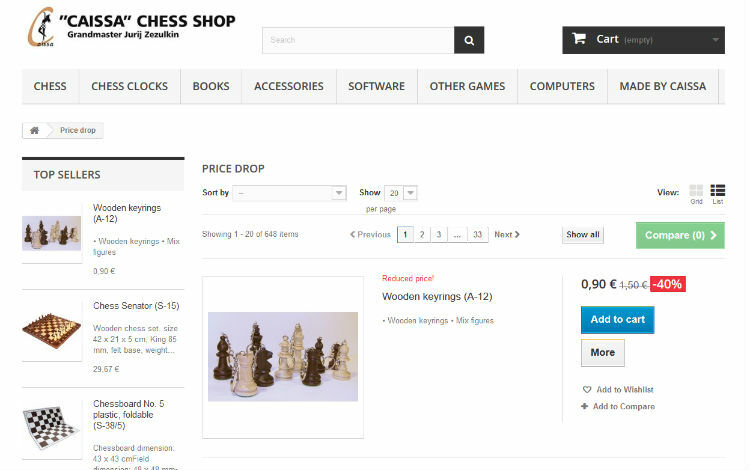 When you place an order in the Caissa online chess shop, you can pay for it using PayPal, DotPay, or bank transfer. Orders can be placed online, over the phone, through email, or even through Facebook! Your order confirmation will always be delivered by email or phone. Delivery is available almost anywhere in the world, with the cost of shipping dependent upon the location and the package size and weight. Within Europe, deliveries are usually completed within 5 to 7 days at a cost of about 16 Euro. 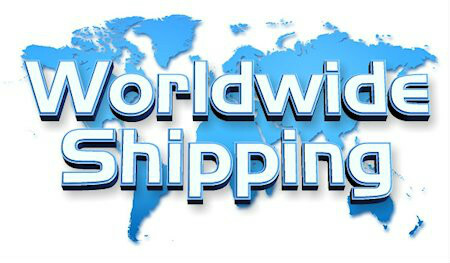 Orders shipping to European destinations can get free shipping if you spend 250 Euro. 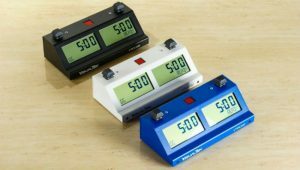 All orders are shipped within 2 to 3 working days of receiving payment, and you will receive tracking information for your order by phone or email whenever it is available. If you want to return any item you’ve bought from the Caissa Chess Shop, you can do so by notifying them of your return within 14 days of receipt of the product. Items must be returned in their original, new condition, and costs for shipping are not refundable. The remaining amount will be refunded as quickly as possible to the same payment method you used when you placed the order. Computer software that has been opened are not eligible for return. This is understandable since some customers may try to copy the software onto their computers and then return the disk for a full refund! On the whole, Caissa Chess Shop is a great place to shop for anyone. 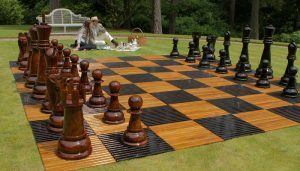 Their international shipping policies make their products available to chess lovers all over the globe, but their position in Poland is especially attractive for European chess players who want to save some money on shipping costs. They have a huge variety of products that are all available at great prices. They even have an exclusive line of products manufactured for them that you can’t get anywhere else. Their customer service is professional and friendly, and their return policies are very reasonable. All of these things combined make Caissa Chess Shop a great place to buy from, and you can shop with them with confidence! They come highly recommended by us, for European and international buyers.